The snow keeps falling and as it blankets outdoor lights and decorations, it truly looks like a winter wonderland outside. 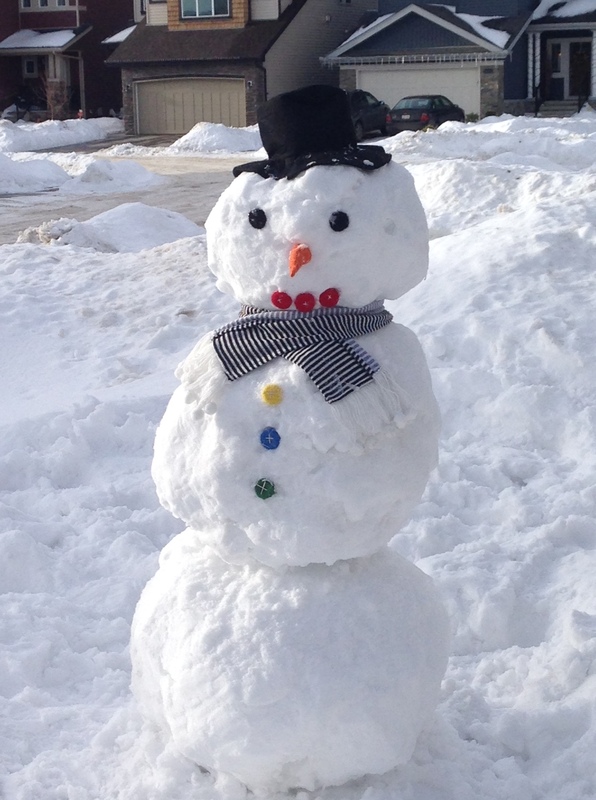 While the adults are not enjoying all the shoveling, children are having fun building snowmen and having snowball fights. Thinking about playing in the snow, I am reminded that a large snowman starts with a single snowball. As the snowball rolls along the ground it picks up more and more snow and keeps growing larger. The size the snowman becomes is determined by how much time is put into rolling that snowball. This is something that I can relate to my life. When I stay in one place, my life remains static, not growing. If, on the other hand, I am willing to open myself up to new experiences, my life expands as it rolls along. The more I do this, the larger my life becomes. Jesus has so many plans for my life. It is only by spending time with Him and following his plan that my life will expand to include so much more than I could ever imagine on my own. I work in a lovely little gift store. It has a wide variety of items for almost any occasion which makes it a favorite place to shop in our area. We have just finished taking our year end inventory. 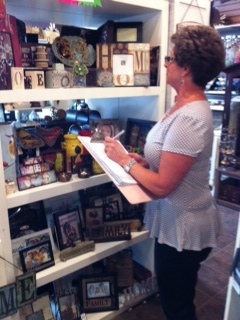 Everything in the store had to be counted and its value recorded. This was a time consuming, labor intensive task in a store filled with so many treasures. As the items were counted and recorded, I started thinking about taking inventory in my own life. Imagine taking the time to sort through everything tucked away in my conscious and subconscious mind. There are so many memories and experiences to think about. Just as was discovered in the store inventory, there are probably things that are no longer useful and those that had been buried under something else and forgotten over time. There are also others that are more plentiful than I first realized. In my personal inventory, anything negative needs to be discarded. Old hurts and anger have no place in my life now. What I choose to focus on is the abundance of blessings that I have experienced over the course of my life. There are wonderful memories of love and laughter with friends and family. Times I have been able to bring a smile or encouraging words to someone have added meaning and purpose to my life. Yes, when I take my inventory I see that what holds the greatest value for me are not the things that I have but the people that God has put in my life. I am so thankful to count my blessings. 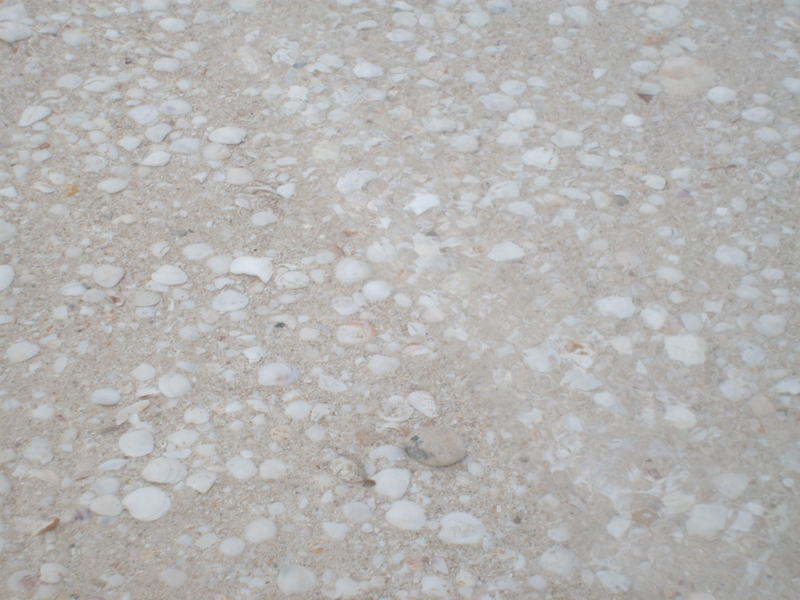 If you are looking for shells, I have discovered that a great place to search is in the shallow waters of a fishing area. There are an abundance of them. Some are scattered and easy to spot as they sit on their own. Most, however, are in large deposits, sometimes in a few close groupings and other times in trails that stretch across the sand. The more I pay attention and look for them, the more I find. They remind me of the blessings in my life. I am aware of a few scattered here and there, but when I stop and really look, I can see them everywhere. There are clusters of them and trails that stretch throughout my life. The sheer abundance of them is staggering. So much so, that it is easy to take them for granted. Every day I want to take the time to stop and appreciate my blessings and to thank God for the gifts that he has given to me.